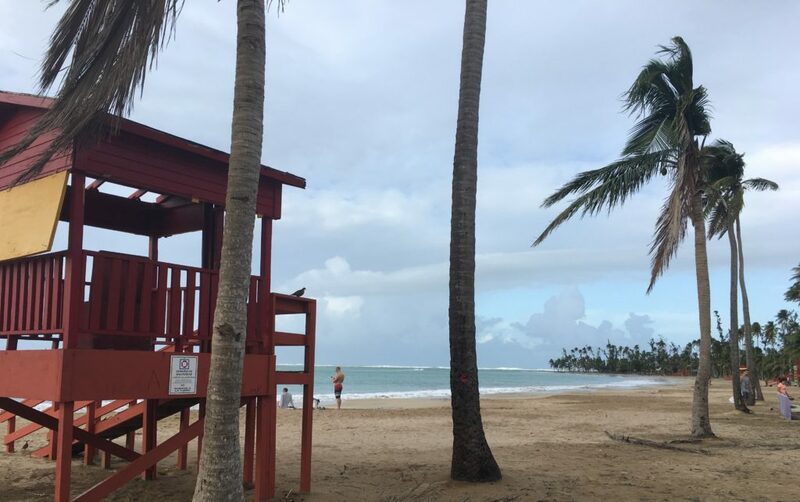 What is commonly referred to as Luquillo beach is the crescent-shaped section directly behind the popular Kioskos. 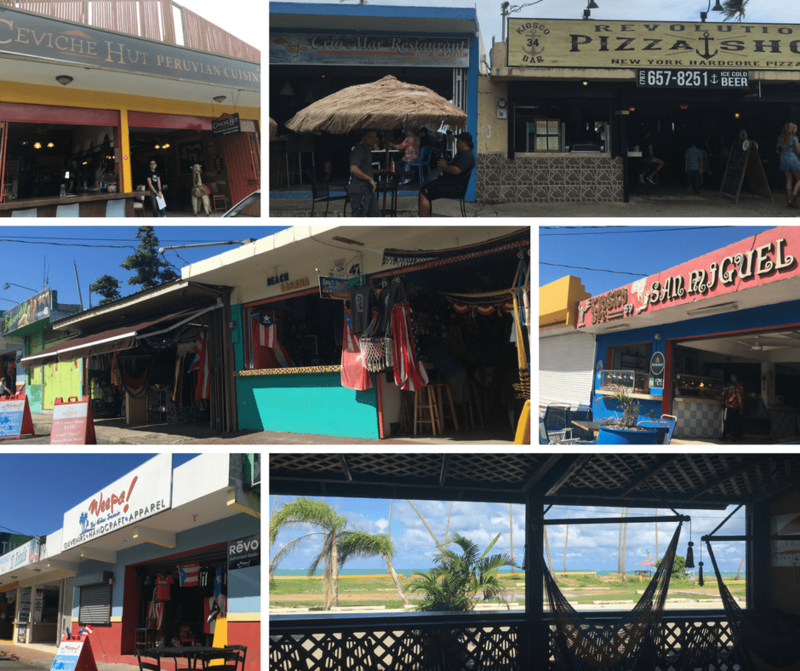 A long strip of beachfront mini-restaurants run parallel to the beach along PR-3 highway. The kiosks are filled with a variety of cuisines including traditional Puerto Rican street food, New York style pizza, Peruvian cuisine, and all sorts of bar and grills. There are a few requisite souvenir shops and even a jet ski rental. Guests can sit and enjoy a full meal in the covered dining areas, or buy food to go for the short walk down to the beach. Farther East is the Blue Flag beach of Balneario Monserrate. Due to the one-way street (Westbound), this beach is usually accessed along Route 3 by entering the gates to the paid parking areas. Thanks to the natural wave break the water is clear and calm, there are more trees and lifeguard towers. The facilities, including the bathrooms and camping areas, are closed (as of January 2018) due to Hurricane Maria. After significant clean-up effort at the end of 2017, the beach is open and better than ever! The beach can be accessed by parking behind the east end of the kioskos and walking to that portion of beach. Pick up lunch from the kiosks or bring your own picnic (BYOP) for a quiet lunch in the shade. 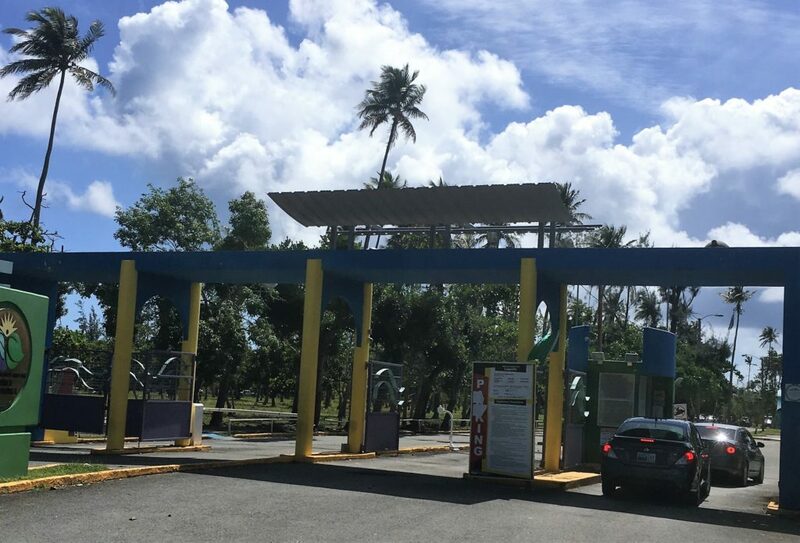 Update May 2018 – The paid parking area of Balneario Monserrate is back open! Parking is $5.50 per car entry (cash only). At the heart of Luquillo are Playa Azul and La Pared beaches. Located behind the maze of narrow roads, high rise buildings and small city center. There are more free parking spots and beachside restaurants. Off to the left (West) is the crescent shaded Playa Azul and more picnic-worthy spots for lunch on the beach. The calm waters are frequently packed with families for beachfront cookouts. Stand Up Paddle boarding (SUP) and snorkeling are popular ways to build up an appetite. Surf’s up at La Pared beach, on the right side of “downtown” Luquillo (East side). A colorful mosaic tile wall lines the beach. The mild ocean waves are a perfect spot for beginners and experienced surfers alike. Strong winds attract the kiteborders from all over the island and beyond. There are several surf schools in town, and almost any given weekend student can be seen out on the water. 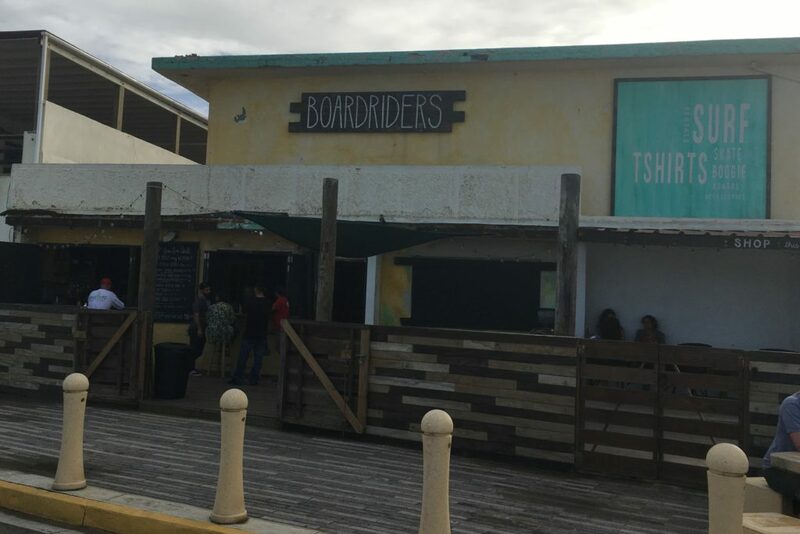 Boardriders beachfront restaurant is my favorite spot to watch the surfers and enjoy a delicious lunch from the ever-changing menu of burgers, sandwiches, and more. The 2nd and 4th Saturday of each month is the Luquillo Farmer’s Market. As of 2019, it was relocated back to the Centro De Arte Y Cultura De Luquillo. There is music, fresh baked goods, fruits and vegetables, farm fresh eggs, and handcrafted items. This market feels like a cross between a festival and a swap meet. Get there early to grab fresh baked goods for a beachfront picnic. 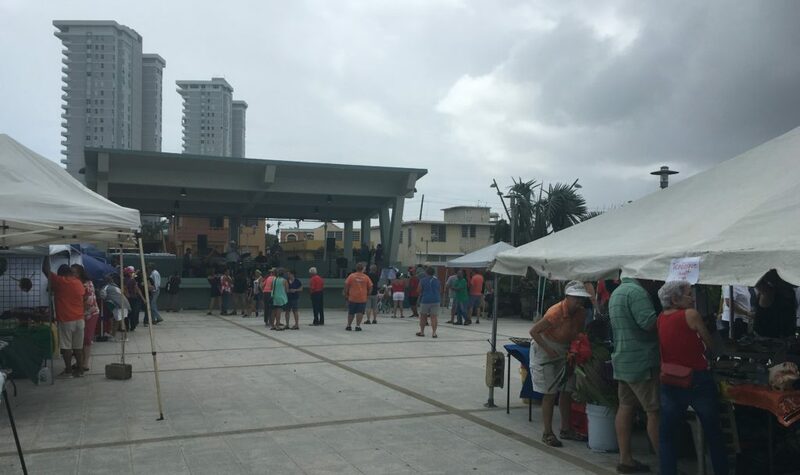 The farmer’s market was located in Plaza Pública de Luquillo during 2018, and occasionally a farmer’s market event will still be held there. Parking is available on the street or paid parking lots near la Pared beach for $3 a car. Check Facebook for “Luquillo Farmers Market” for the latest location and vendors. The Centro De Arte location (off Route 3) has plenty of parking and signs for both the center and the farmer’s market. Other beaches on the west end of Luquillo are Mameyes Beach and Playa Fortuna. Mameyes Beach sits on the border of Rio Mar and Luquillo and is the farthest west beach in Luquillo. Playa Fortuna is a narrow stretch of beach along a wide grassy area. These are predominately locals only beaches due to lack of parking and facilities. The far east edge of Luquillo is La Selva beach, which can only be accessed via 40-minute hike, bicycle, ATV, or surfboard. 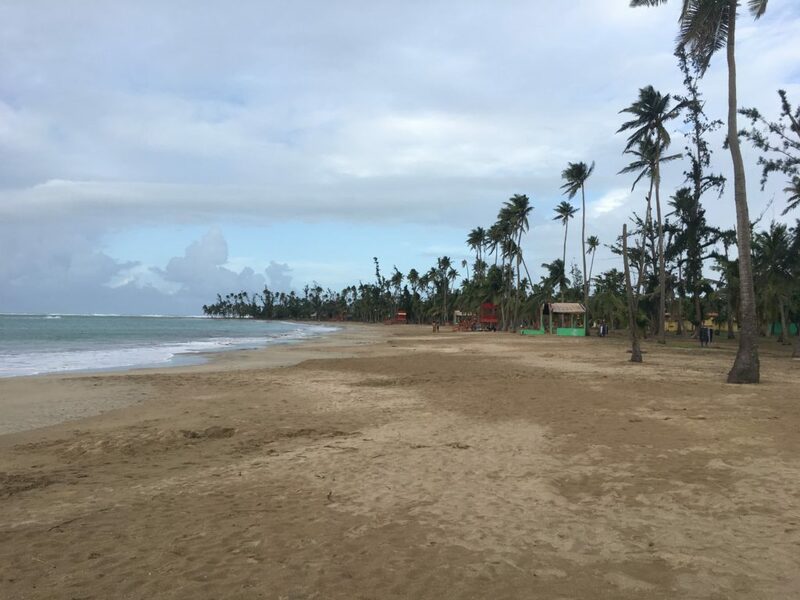 While many of the hotels near Luquillo are closed due to Hurricane damage, now is the time to check out some of the private Guesthouses and Bed & Breakfast options. There are accommodations steps from the beach, like Love. Soul. Beautiful B&B overlooking La Pared beach, and a slew of other Luquillo beach front properties to choose from. There is plenty of parking throughout Luquillo. Each beach has areas for parking. The only “offical” parking that is closed is for Balneario Monserrate, and you can park nearby at the kioskos and it is a short walk. Playa Azul has limited parking, so you might need to walk from La Pared or Luquillo town roads. La Pared has ample parking, and sometimes there is an attendant charging $3 (usually only on the weekends). Thanks for good update . We are coming next week and could not figure out if we could go to the bagneario in luquillo as all the websites say they are closed. Can you confirm we can just park by the kioskos and walk over ? Thank you ! The island is healing, services are being restored, and Puerto Rico is ready for you to come back for another visit! I was in Puerto Rico when the hurricane happened and I was devastated as PR is sooooo beautiful with amazing beaches and so much to do. We didnt make it to Luquillo beach so it’s nice to reqd about it for next time. Also thanks for giving guest house options. I much prefer them anyways!! Puerto Rico’s Luquillo beach has lot of things to do with yummy food having ocean view to farmer’s market. Luquillo Kioskos have many choices like foid, souveniers, etc. Even this place lits if accomodatikn options for night stays. Luquillo seems like a great place to do some water activities. The water is so clear too. I bet you can see a lot of marine life under the water! What a great guide for delcious food by the beach in Luguillo! I have never been there but will problably be there one day soon enough and this post will come in handy! The farmer’s market sound very interesting and something I hope not to miss! Puerto Rico is beautiful and absolutely worth the visit. I hope you make over someday. 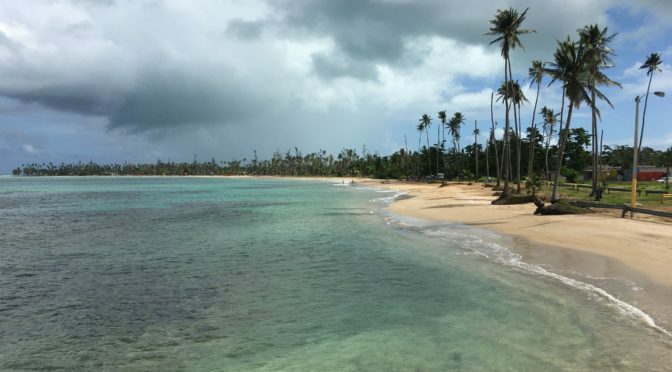 Luquillo sounds like a perfect beach getaway. And lunch with an ocean view sounds amazing too. Watching surfers surely is fun and Boardriders beachfront restaurant sounds like a perfect spot for that. Thanks for this detailed information. Watching surfers is great beach entertainment. What beautiful beaches. It’s good to know things are back up and running since the hurricanes. And we LOVE farmer’s markets and that one at Luquillo sounds like loads of fun to experience. 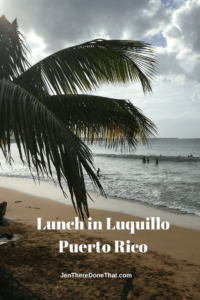 Luquillo is back and better than ever! Definitely worth a visit. Yes, the surfing looks fabulous! Wow! The beach looks so beautiful with its clear turquoise waters and a line of palm trees. Great to know there are so many food options. Beachfront restaurants offer a pleasant experience of watching the sea activities while grabbing some delicious bites. I agree that food often tastes best with an ocean view. I would love to visit the area, particularly because of its Blue Flag beach. It’s also nice that there’s a lot of variety when it comes to food choices, even Peruvian! I just love the variety of food options, and the beaches are amazing! This site contains affiliate links, that means JenThereDoneThat may make a small commission at no extra cost to you.